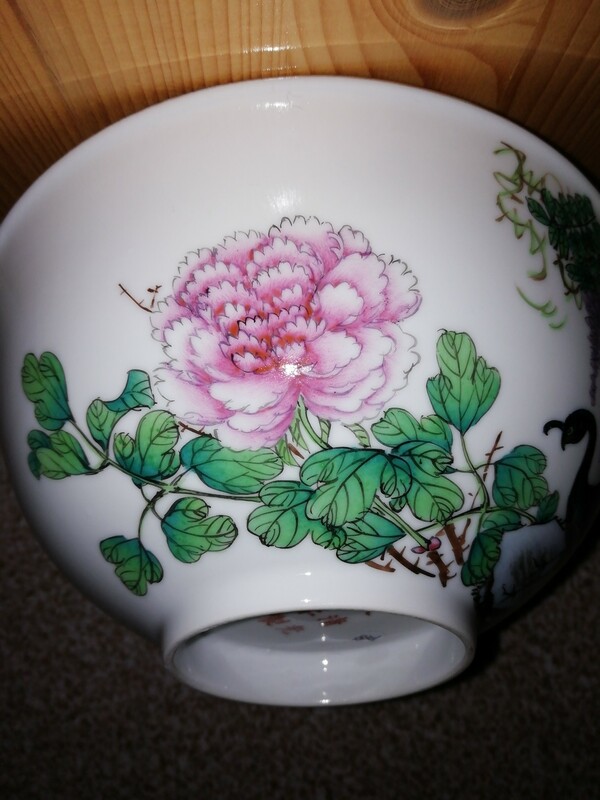 Subject:Guangxu bowl, genuine or reproduction/fake? 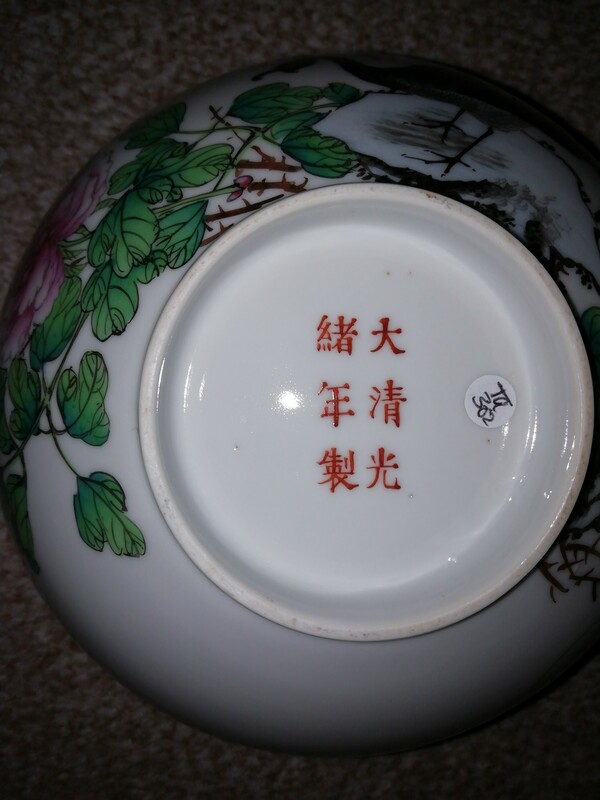 Subject:Re: Guangxu bowl, genuine or reproduction/fake? One point I would question is what I consider to be the unusually well-preserved look of the black enamel used to outline leaves and petals, as well as feathers of the peacock. Among other famille rose dishes, the Guangxu period (1875-1908) included peak production years for rose medallion porcelains, which featured a ground of black-outlined green scrolling vines with interspersed gilt. Even though the black outlines were usually overpainted with the green glaze, there always seemed to be shrinkage and thin stretches where the volatile black pigment evaporated from exposure to kiln atmospheres. 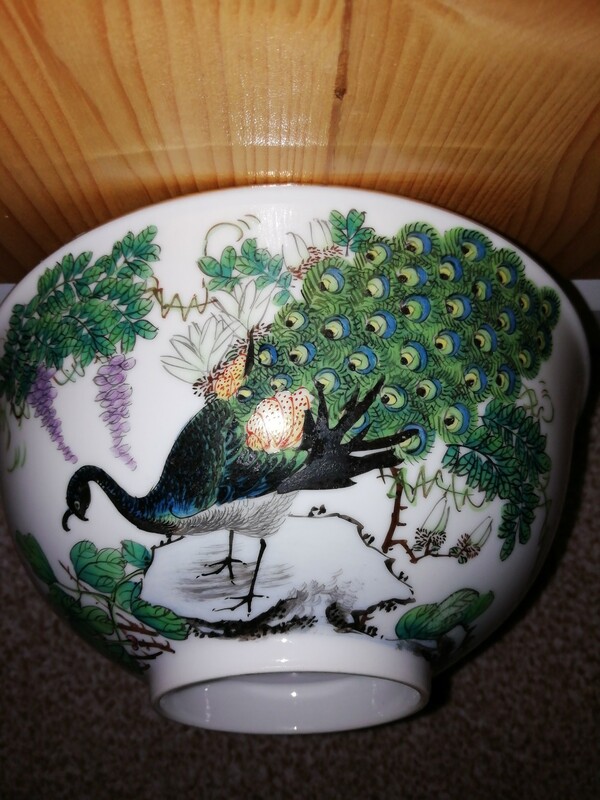 If your bowl is a period piece, I think it would be unusual not to find some evidence of the same issue with its black pigment. Any chance that the entire exterior of the bowl has a thin clear-coat of glaze that doesn't show up well in your photos? If so, it might explain the unusually well-preserved look of the black. Thanks Bill, I don't believe there to be another thin coat of glaze on it, but I could be wrong. If I am not, however, how old would you expect this bowl to be? Possibly mid-20th century to contemporary.